Realogics Sotheby's International Realty (RSIR) presents a comprehensive look at the 2018 real estate market with William Hillis, Research Editor and Publisher. The report explores King, Snohomish, Kitsap, Pierce, Jefferson, Island and San Juan counties as well as 30+ detailed community reports. Realogics Sotheby’s International Realty is pleased to share a Waterfront Update released on RSIRWaterfront.com examining many different regions and popular waterfront communities in the Puget Sound and Greater Seattle regions, including information on home values, sales trends, and market activity. The report mainly concerns price trends and typical location factors affecting the value of any real estate. However, waterfront sales may also be influenced by features such as docks, moorage, and beach or tidelands access, which may be conditioned on easements or otherwise shared, especially in more densely populated areas. 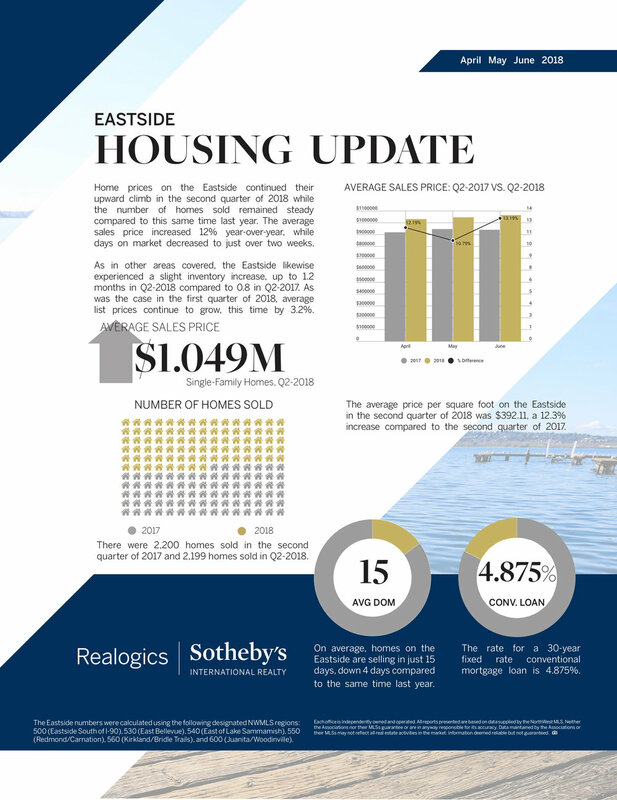 Since 2014, waterfront prices have generally been on an upward trend—it should be noted that in several areas, particularly the Four Points and Kirkland, the number of sales on even an annual basis are easily skewed by outliers and too small to reliably discern trends as to price and volume.